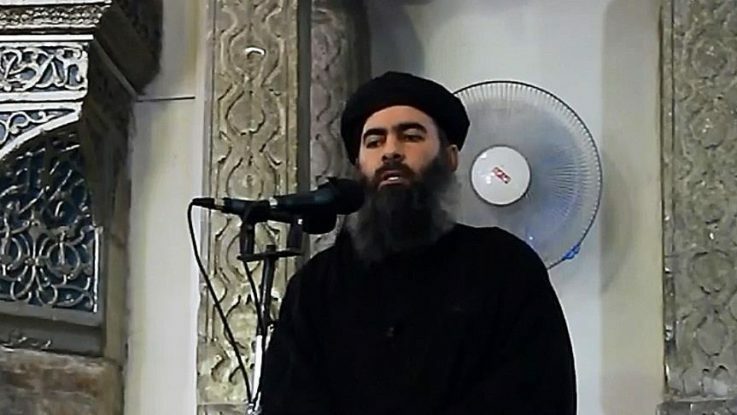 Daesh leader Abu Bakr al-Baghdadi was likely killed late May in a Russian airstrike in Syria’s northern city of Raqqah, according to the Russian defense ministry on Friday. The Russian aircrafts attacked on May 28 a command post, where Daesh leaders were meeting and killed around 300 Daesh militants, including 30 field commanders, the ministry said in a statement. “According to information, which is being verified via various channels, the meeting was also attended by Daesh leader Ibrahim Abu Bakr al-Baghdadi, who was killed during the strike,” it added. Foreign Minister Sergey Lavrov said Moscow was yet to confirm the killing of al-Baghdadi. “I also heard these reports. So far, I have no 100 percent confirmation of this information,” Lavrov said at a news conference. Baghdadi, who has a $25 million bounty on his head, has managed to evade being killed or captured by the U.S.-led anti-Daesh coalition throughout its more than two-year campaign in Iraq and Syria. Sporadic rumors have continued to mount that he was killed in a variety of U.S.-led actions, but little evidence has surfaced to support those claims.